While most Audi fans are still buzzing about the RS5 Sportback, the Audi RS5 Coupe is still here and it’s the one you can buy today. So Motor Trend recently gave it a test to see if the RS5 Coupe has what it takes to beat the BMW M4 and Mercedes-AMG C63 Coupe at the game they created. Under the hood of the Audi RS5 Coupe is a 2.9 liter twin-turbocharged V6 engine that makes 450 hp and 443 lb-ft of torque. It’s paired with an eight-speed automatic gearbox, Quattro all-wheel drive and an electronically-controlled limited-slip rear diff. According to Audi, the RS5 can get from 0-60 mph in 3.7 seconds but, as MT points out, that’s a conservative number. And MT tends to feel that it’s a very rapid car. “If you quickly glance down at the tachometer nestled amid Audi’s renowned Virtual Cockpit, you’ll see green-yellow-red cues alight as you approach redline. But with all 21.5 psi of boost urging you forward, you better get your eyes up, partner, because the horizon ain’t that far away.” said Motor Trend’s Mark Rechtin. So yea, the Audi RS5 is fast. While it has comparable claimed 0-60 times as the aforementioned M4 and C63, it’s likely the faster car in the real world, thanks to its Quattro all-wheel drive grip. We haven’t yet driven the Audi RS5 Coupe but we can’t wait to. 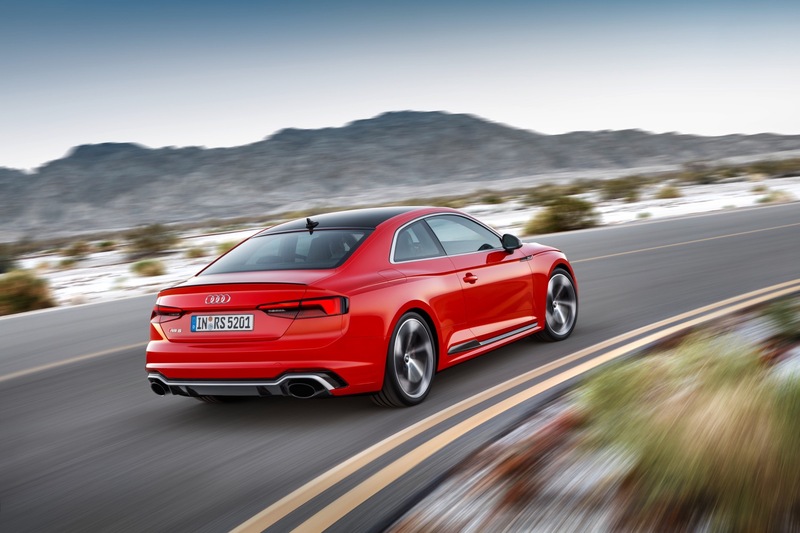 We’ve driven the Audi S5 and came away very, very impressed. Not only was it fast but it was more fun than we had anticipated it to be and is likely the best all-around sports coupe in its segment. So adding more power, more performance, sharper handling and more aggressive looks sounds like a recipe for success to us.